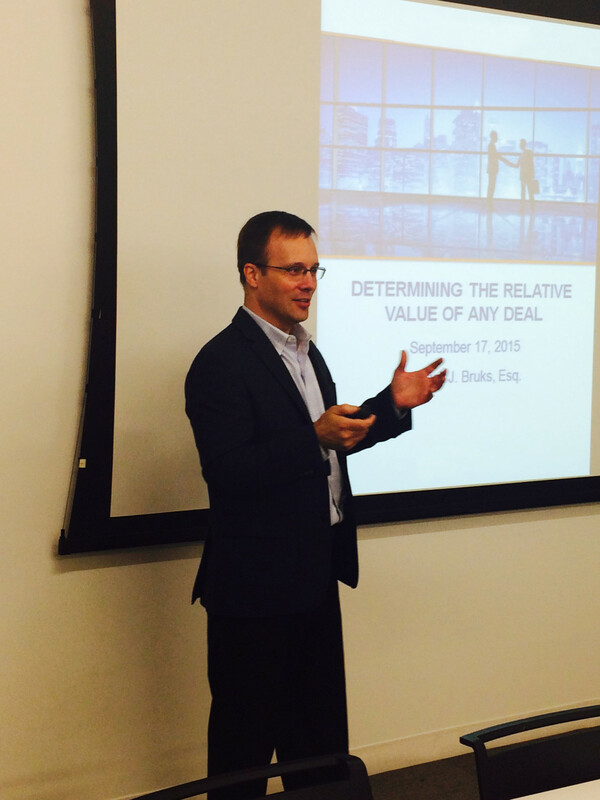 The Firm’s Pat Bruks presents again to a group of entrepreneurs at 1871. 1871 is Chicago’s Entrepreneurial Hub for Digital Startups where over 350 up and coming entrepreneurs go to find help and support as they convert their ideas into new fast-growing tech businesses. Housed in Chicago’s Merchandise Mart, the group takes its name from the year of the great Chicago Fire – not from the destruction caused by the fire, but instead for the explosive growth in the city that followed. Pat conducts a series of workshops designed to help entrepreneurs improve their skills and efficiency in analyzing business contracts and determining the relative value of deals.